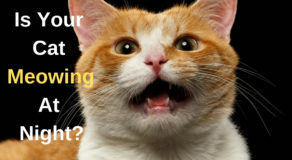 Home > Pets Wellness > Do Cats Love Their Owners? Your cat loves you though Cat’s signs of affection is much different from that of Dogs. Unlike Dogs, they don’t jump, lick your face to death or wag their Tails till they almost fall off from the Body (yes! There’s a case). Cat’s sign of love and affection can be extremely subtle, at least from the Human point of view but that doesn’t mean they love you any lesser. Ever wondered at those slow blinks, headbands, rubbing herself against you? 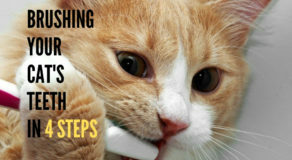 What about soft purrs and occasional Grooming Sessions with those rough Tongues which almost feels ticklish? A Yes?? Those are the Signs! Your Cat is saying he/she loves you. The common bond between a Cat and her Hooman develops with basic petting. Beware! Cats can be extremely choosy. There’s a reason that they have been Worshipped in Ancient Egypt. They pick their Hooman, they guide you to pet them, they train you with those cold looks when you go wrong, rewards you with soft murmurs of sweet nothings when you scratch the right spot. It’s a tough life you see! If you are used to a Dog and decide to go for a Cat now, the experience can be extremely different. Even though they have few common things, Cats are independent Pets. They decide their lives. If your Cat sticks to you that means she wants to be there. Sorry, no brownie points here for you. It’s your Kitty’s decision. Being different Species, our emotions and feelings can be different from them. Spend time with them, learn the signs, learn to decipher Language as much as you can and your Kitty may find a companion in you. Studies reveal Indoor Cats, living close proximity to Humans, adopts similar Eating, sleep, behavior patterns. Whereas the Kitties who spend considerable time outdoors, tend to be more independent and aligns more with the personality of semi-feral Cats. 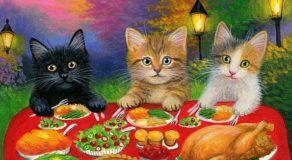 You still may be in for surprises as a Cat behavior can be fickle-it may also vary hour to hour. It’s important to maintain a respect for her Feline instincts and accept that few things are best left to Mother Nature. Cat specialist Celia Haddon, author of “Cats behaving badly” and “How to read your Cat’s mind” adds- owners should not feel that their pets do not love them. “This study shows that cats do not need their humans to feel safe, they don’t depend on us, they look after themselves. If they are scared a cat won’t come to its owner, it will jump on top of the wardrobe or hide under the bed,” she said. So, dear Hoomans, armed with these piece of info, you may embark on the Journey of a Cat Parent. Bon Voyage!